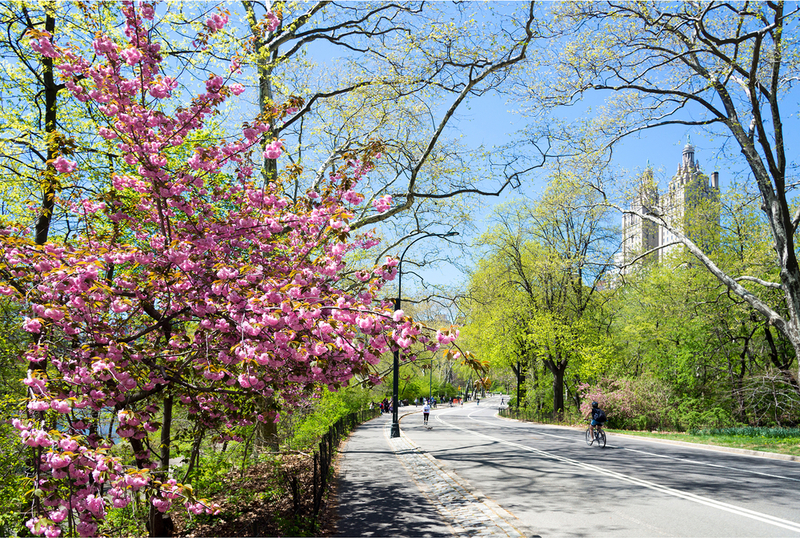 Visit our favorite spots in Central Park! 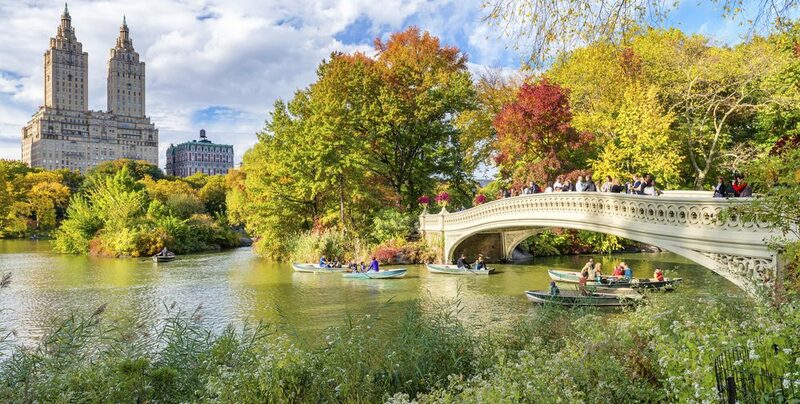 No trip to New York is complete without a visit to Central Park, located between Fifth Avenue and Eighth Avenue and running from 59th Street to 110th Street, it is the most visited urban park in the United States. We’ve picked some of our favorite spots for you to visit! Central Park Zoo has been a New York Institution since 1860, when it was first opened as a menagerie. Nowadays, a walk around the Zoo’s five plus acres will take you through a variety of habitats, all carefully designed to recreate the natural environment of the animals they house. Located on 5th Avenue, on the east side of the park, the Metropolitan Museum of Art is one of the world’s most renowned museums. With over 7 million visitors a year, it is the world’s fifth most visited museum. You will find art from all over the world and with many different exhibitions, there is always something new to see. If you are going to visit ‘The Met’ as it is affectionately known by locals, then prepare to spend a few hours wandering the different exhibitions. Also if you visit during the summer, be sure to check out their rooftop, the views of Central Park are not to be missed! The Wollman Rink is located on the east side, very close to the Central Park Zoo. People from all over the world travel to New York at Christmas time and ice-skating in Central Park with the backdrop of the New York City skyline is a must! The Wollman Rink offers ice hockey, a skating school, party facilities, skate rentals, and lockers. Named for the Italian meaning “beautiful view”, Central Park’s Belvedere Castle offers park goers exactly what its name implies. With its two balconies, it supplies wonderful panoramic views that include some of Central Park’s most beautiful and famous landmarks. It now serves as Henry Luce Nature Conservatory. Bethesda Terrace Arcade is the arched, interior walkway in the center of the park that links the Mall to Bethesda Fountain and the Central Park Lake. This was created in the 1860s as a part of the Park’s main architectural feature. The highlight of the arcade is the magnificent Minton Tile ceiling, which features than 15,000 colorful, patterned encaustic tiles. A number of world famous movies feature scenes shot in Central Park, we have listed a few but there any many more, just ask us if you want to identify any of the famous New York landmarks featured in your favorite films. 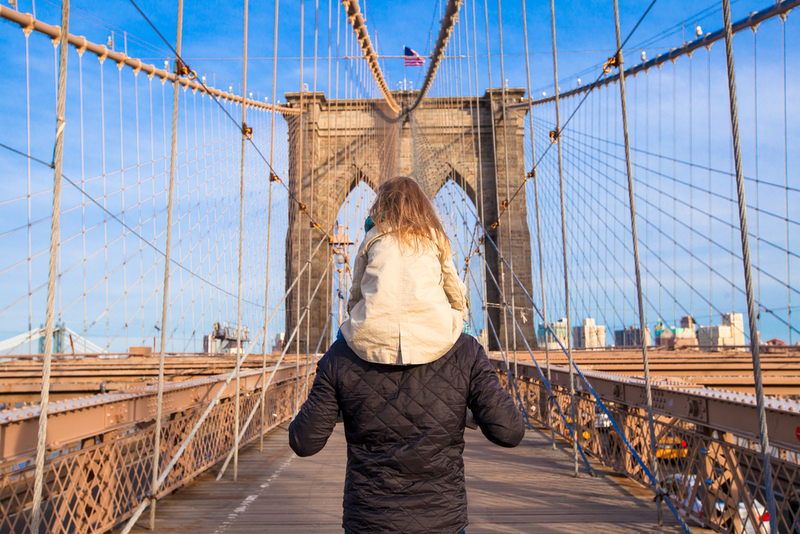 If you want to fit in a visit to Central Park on your next visit to New York, why not check out our ‘Stay Longer, Save Bigger’ and get 10% off!